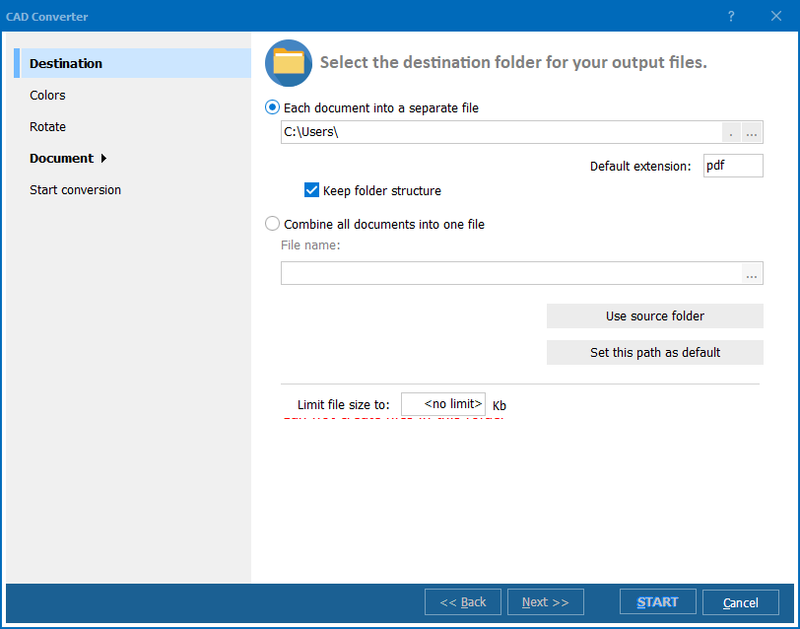 Safely convert your CAD files to pdf or images in batch. 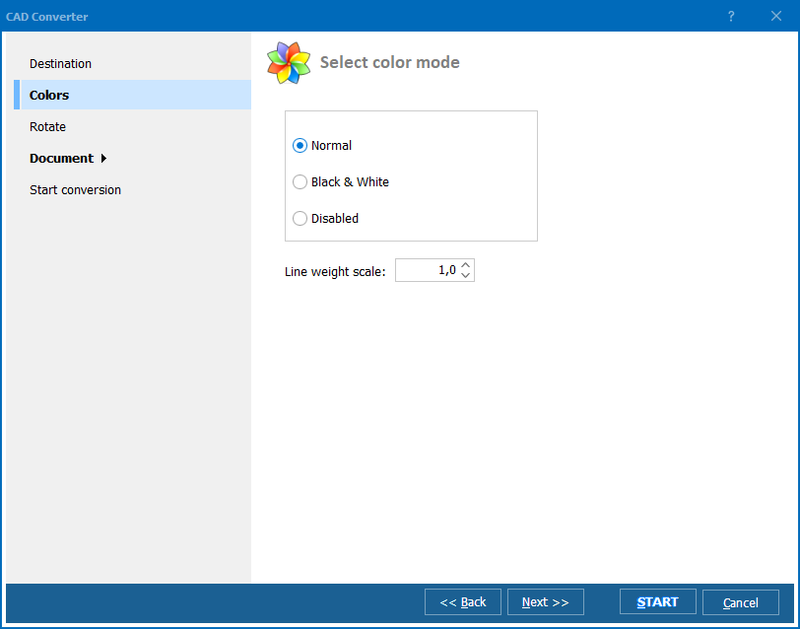 Looking to use the autocad converter in your asp or php application with ActiveX? 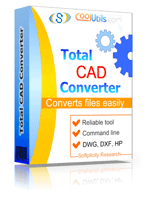 Try the Total CAD ConverterX (SDK). With it, you gain access to a powerful command line CAD converter minus the GUI. Click the Download button to receive your own fully functional 30 day trial version free of obligation. Note: a 64-bit version is available upon request. "It's been very helpful having this Autocad converter. We have many old .plt files that we have no way of opening any longer without the help of software like this. So far my only "issue" is that when we convert these .plt files to pdf the file is being scaled down from the original 24x36 size. I've sent an email to Mary in Tech Support and the fix came out the next day." 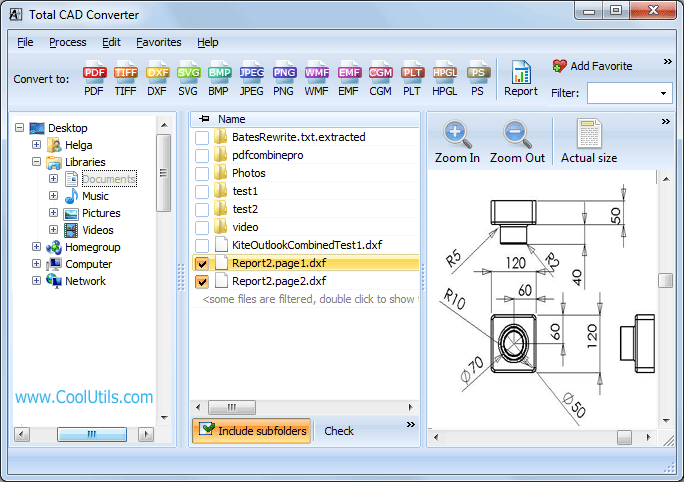 Try a professional DWG Converter with user-friendly interface! It's a quick overview of CAD formats that works really! How to convert CAD files and preserve high quality? 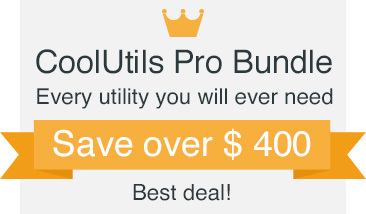 Can be part of your app under royalty-free license. Contact us for details.